Lewis Hamilton clinched a commanding win ahead of team-mate Valtteri Bottas in the third race of the 2019 FIA Formula 1 World Championship at the Chinese Grand Prix. This was the second win in a row for Hamilton as Mercedes clinched their third consecutive 1-2 finish. Hamilton scored the 75th Grand Prix win of his career at this milestone race for Formula 1. Sebastian Vettel aided by Ferrari team strategy completed the podium positions. Max Verstappen finished fourth ahead of the second Ferrari of Charles Leclerc. Pierre Gasly, Daniel Ricciardo, Sergio Perez, Kimi Raikkonen, and Alexander Albon rounded off the top 10 positions. The race started under cool and slightly overcast conditions at the Shanghai International Circuit in Shanghai. The air temperature was at 19 degrees C and track temperatures at 29 degrees C. The Mercedes front row lockout saw Valtteri Bottas on pole and Lewis Hamilton just behind him. The two Ferrari drivers Sebastian Vettel and Charles Leclerc were on the second row. Max Verstappen and Pierre Gasly lined up on the third row. The Renault drivers, Daniel Ricciardo and Nico Hulkenberg, lined up behind them. The Haas F1 drivers, Kevin Magnussen and Romain Grosjean, started on the fifth row. The top 5 drivers started on the yellow-striped medium compound tyres. The other drivers in the top 10 were on the red-striped soft tyres. Verstappen and Robert Kubica spun on the installation lap on cold tyres to set the stage for the race. Hamilton made a good start and nosed ahead of Bottas into Turn 1. Leclerc got ahead of his team-mate Vettel with Verstappen and Gasly behind them. Ricciardo stayed in seventh position, as Perez overtook Hulkenberg and the German fell to ninth position. Perez made the best start of all the drivers as he went from twelfth position to eighth position in his Racing Point car. The cars made it without incident through Turn 1. But at Turn 6, Daniil Kvyat first steered into Carlos Sainz and then hit his team-mate Lando Norris which dropped both McLaren’s to the back of the field. Kvyat was given a drive-through penalty by the stewards. The Virtual Safety Car was deployed to clear away the debris on the track. Hamilton was quicker in the opening laps and established a comfortable lead of 1.9 seconds over Bottas at the end of lap 5. He also had set the fastest lap of the race. 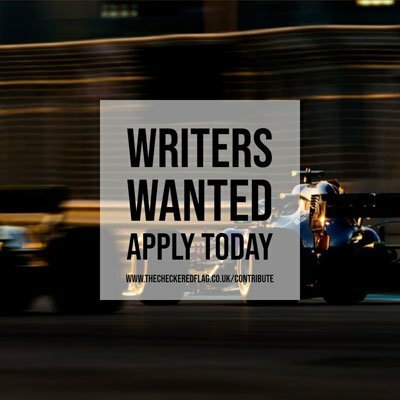 The order was Hamilton, Bottas, Leclerc, Vettel, Verstappen, Gasly, Ricciardo, Perez, Hulkenberg, Raikkonen, Grosjean, Magnussen, Stroll and Kvyat. Vettel was within DRS range of his team-mate Leclerc for a few laps. On lap 11, Leclerc was asked to let Vettel through as he was faster. Vettel then set about trying to catch the Mercedes cars in front of him. On this day, the Ferrari SF90 was no match for the Mercedes W10 and Vettel was not able to get close to Bottas. As Leclerc and Vettel exchanged positions, Verstappen closed up on both Ferrari drivers. On lap 8, Antonio Giovinazzi was the first driver to pit and change from the soft tyres to the medium tyres. Both Haas drivers and Hulkenberg also made their first pit stops. On Lap 18, Verstappen was the first driver among the leaders to pit and put on the white-striped hard tyres. The Dutchman rejoined the race ahead of Raikkonen in eighth position. Ferrari was forced to pit Vettel on the next lap to cover Verstappen. Vettel managed to rejoin the race in fifth position ahead of Verstappen. On lap 18, Hulkenberg’s race ended and it was the second retirement in a row for the German. On lap 22, Bottas pitted for a set of hard tyres and rejoined the race in third position behind Leclerc. Race leader Hamilton pitted on the next lap and rejoined ahead of Leclerc. Finally on lap 23, Leclerc pitted for a set of hard tyres and rejoined fifth more than ten seconds behind Verstappen. Leclerc was the clear loser after the first set of pit stops. After the pit stops, Vettel was just ahead of Verstappen. A hard wheel-to-wheel battle ensued between the two drivers. Verstappen briefly overtook Vettel, but as he ran wide, Vettel retook fourth place. After the first pitstop, Bottas was within 1.5 seconds of Hamilton. But Hamilton built a comfortable four-second lead again. Vettel also managed to build a gap to Verstappen who was well-ahead of Leclerc. At the end of lap 30, the order was Hamilton, Bottas, Vettel, Verstappen, Leclerc, Gasly, Ricciardo, Perez, Raikkonen, Grosjean and Albon in the points. On lap 36, Verstappen again triggered the second pit stops and fitted a fresh set of medium tyres. Ferrari again pitted Vettel on the next lap to cover Verstappen. Mercedes then brought in both Hamilton and Bottas on the next lap. Leclerc who made a late first pit stop stayed out. Hamilton rejoined in the lead. Bottas rejoined behind Leclerc and made a DRS-assisted pass to retake second position. Soon Vettel overtook Leclerc to claim third position. Leclerc made his second pit stop on lap 43 and emerged a full fourteen seconds behind Verstappen in fifth position. Leclerc on fresher tyres set about catching Verstappen to no avail. Hamilton in the meantime had built a comfortable seven second lead over Bottas and was cruising in front. On lap 43, Kvyat’s eventful race came to end as he retired from the race. On lap 45, Vettel set the fastest lap of the race. With five laps to go Leclerc complained about problems with his gears. On lap 54, Red Bull pitted Gasly from sixth position for a set of new soft tyres. Gasly was over 30-seconds ahead of Ricciardo in seventh-place and comfortably rejoined ahead of him. The Frenchman then set about gaining the extra point for the fastest lap which he set on the final lap of the race. Hamilton and Bottas were in command and scored their third 1-2 finish of the season. Vettel completed the podium places. Verstappen after the brief challenge after the first pit stop faded to finish in fourth position. Leclerc finished fifth after a less than favourable Ferrari strategy. Gasly finished in sixth position well-behind Verstappen, but clinched the extra point for the fastest lap. Ricciardo finished in seventh-place for his first points of the season. Perez finished in eighth position to score points for the second race in a row. Raikkonen again displayed his race craft to finish a creditable ninth for Alfa Romeo Racing. Albon finished tenth to score a point for Toro Rosso in their 250th Grand Prix. That was a remarkable finish for the Toro Rosso driver who started from the pit lane. Hamilton crossed the finish line to take his 75th win in F1’s 1000th race. The Mercedes team has clinched three consecutive 1-2 finishes in the first three races of the season. Hamilton (68 points) is now leading team-mate Bottas by six points in the drivers’ championship. Mercedes (130 points) has a comfortable 57-point lead over Ferrari (73 points) in the constructors’ championship. The next race is the Azerbaijan Grand Prix (26 -28 April 2019) at Baku in two weeks time. Note – Gasly scored an additional point for setting the fastest lap of the race.